The Auks' wall defends against a free kick by Oryem Kilama of Friends. 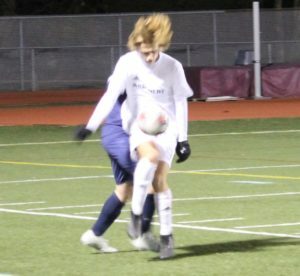 BEAR – Archmere’s boys soccer team enjoyed a fantastic regular season, but the Auks’ postseason run came to an end Nov. 14 at Caravel Academy. Wilmington Friends scored one goal in each half and effectively limited the Archmere offense in a 2-1 win in a DIAA Division II semifinal. The teams spent the first portion of the first half in the middle of the field, but the offenses got untracked relatively early, producing an exciting brand of soccer, if only the one goal. The Quakers, the second seed, sent a shot just wide of the Auks’ goal in the 13th minute, and four minutes later, No. 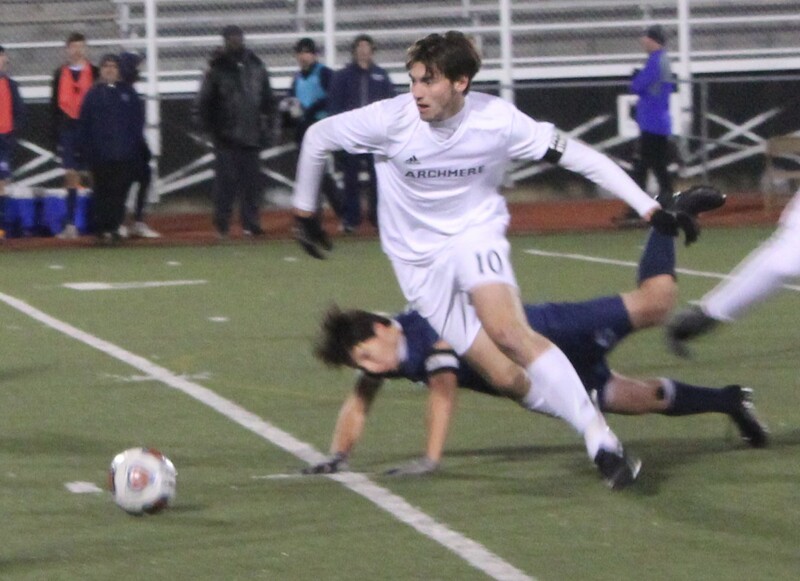 3 Archmere’s Will Schatzman broke free toward the Friends’ goal, but he was bumped off the ball just before shooting. Auks keeper Niko Triantafillou and his Quakers counterpart, Liam Hudgings, were both called on to make diving saves during the half. 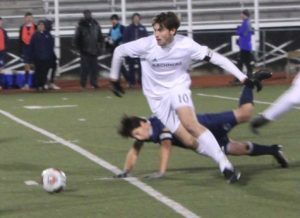 Schatzman nearly connected in the 26th minute, and in the 29th, Sam Gattuso collected a loose ball in front of Hudgings, who made a sprawling stop. 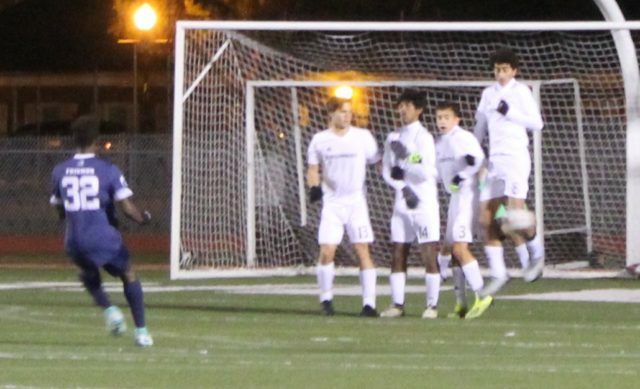 Oryem Kilama of Friends used his speed to put his team in front in the 31st minute. Kilama sprinted down the left side to chase down a through ball, got a few steps on his defender and blasted a shot high into the net for the game’s first goal. Andrew Rosenbaum almost got the equalizer for the Auks in the last two minutes of the half. His shot from 20 yards out missed the net by less than a foot, and the Quakers had the 1-0 halftime advantage. The score remained 1-0 until the Tim Farley scored in the second half. 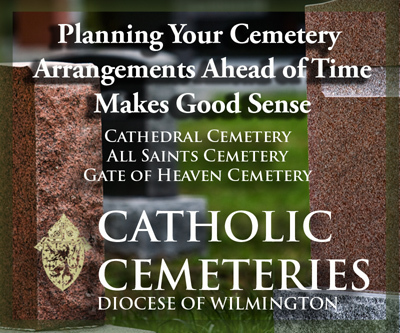 The insurance goal would prove to be necessary. Brian Neill of Archmere gave the Auks hope, scoring with three minutes remaining. But the Auks could not pick up that second tally to send the game to overtime. Final statistics were unavailable Thursday morning. The Auks finished the season with a record of 14-3. Friends improved to 16-1 and will meet No. 1 Caravel for the Division II state championship on Saturday at Smyrna High School at 7 p.m. 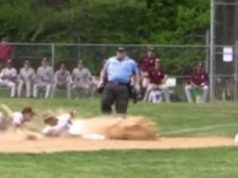 In Division I play, top-seeded Salesianum defeated No. 5 William Penn, 6-0, at Caravel. 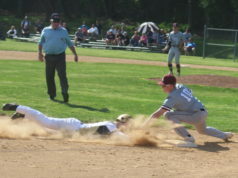 The Sals will meet the second seed, Appoquinimink, in the title game, also at Smyrna on Saturday at 5 p.m. This is the third straight year those two teams have met in the final and the fourth time in the last six seasons. The Sals have won the three previous meetings, including 2-1 last season. 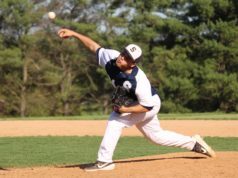 The Sals and Jaguars met on Oct. 13 in Middletown, a game won by Salesianum, 3-1.